I’m not afraid to admit that I’d quite like one of these feather crowns for myself. They have a beautiful 1920s flapper feel about them – not sure where I’d wear it but I’m certain my daughter would happily don one too while we went about our day. Feathers and vacuuming, anyone? Designer Honor Dunn creates accessories for children that are focused on play. 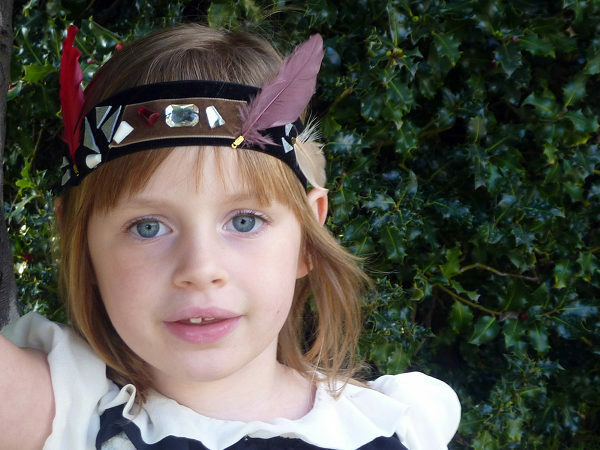 Her store, Little Eero, features superb feather headdresses, crowns and turbans. Each piece is handmade using silk, velvet, feathers, vintage glass jewels, metal studs, leather and more. The pieces are also adjustable so will stay on during the most dramatic play sessions (or housework sessions, as the case may be!). 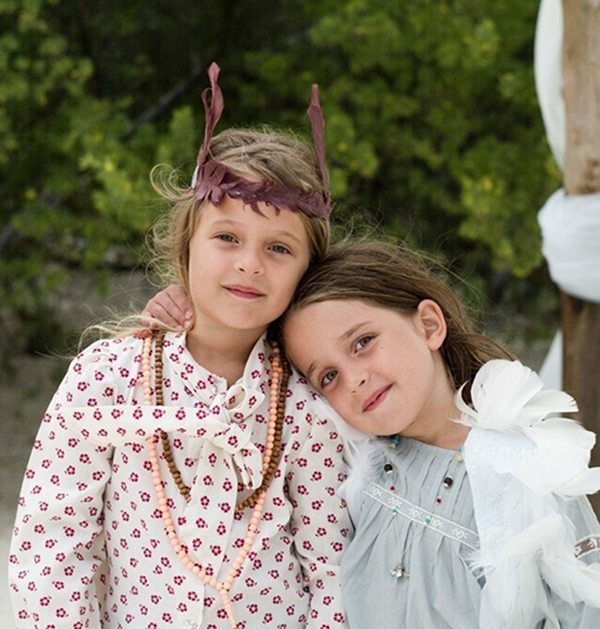 Happily, headdresses from Fraises des Bois are available in both children and adult sizes. Prices range from US$25-US$45 and Little Eero will ship to Australia. Also see the beautiful clothing ranges.